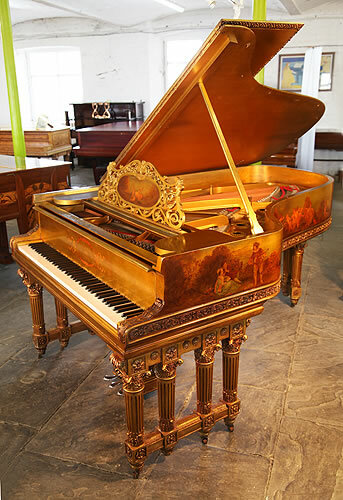 An art case, Rococo style Steinway Model B grand piano with a gold case. 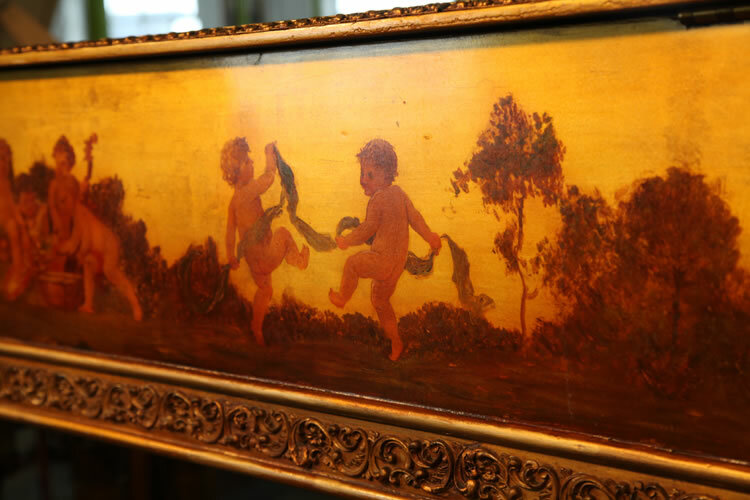 Cabinet features hand paintings of cherubs and rural scenes of people playing musical instruments in fête galante style. 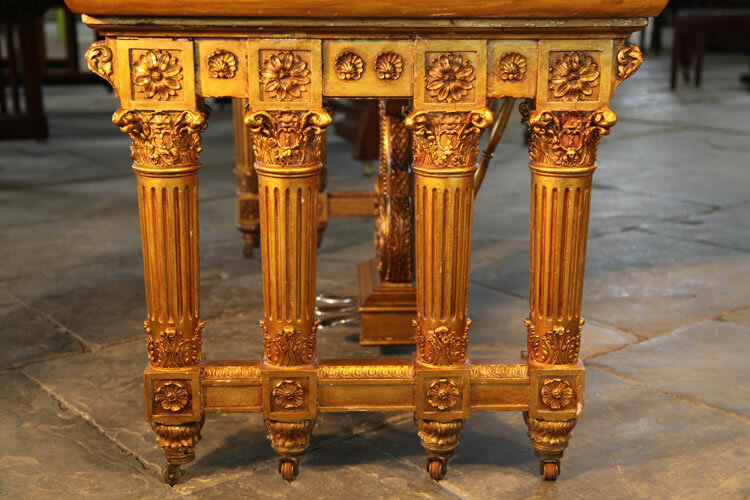 Piano has ornately carved gate legs with four,ornately carved Corinthian pillars. 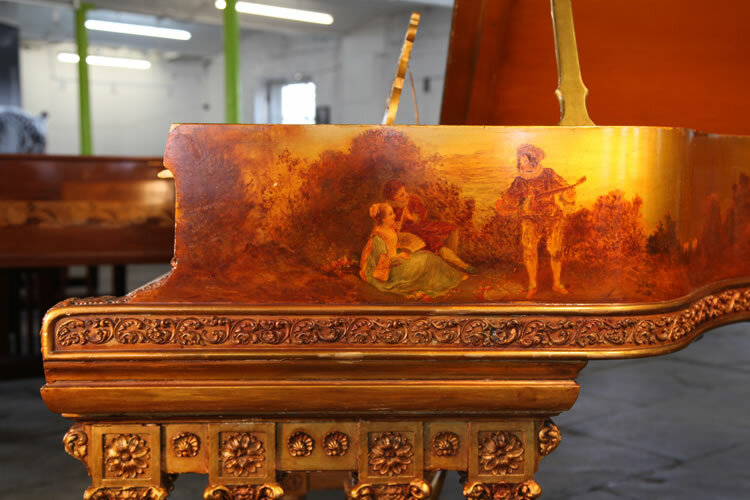 Music desk has a beautiful scrolling filligree design with a central hand painted plaque. Instrument has been rebuilt. New Soundboard fitted by Steinway. 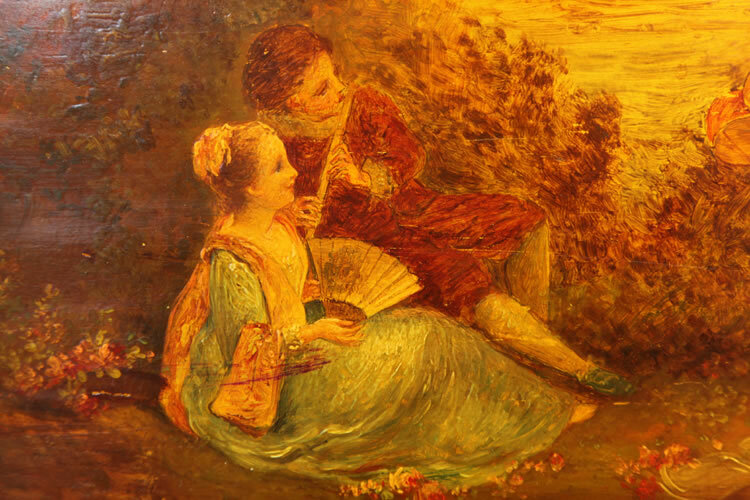 Fête galante paintings are a feature of the Rococo period of art, which saw the focus of European arts move away from the hierarchy of the church and grandeur of the royal court towards an appreciation for intimacy and personal pleasures. 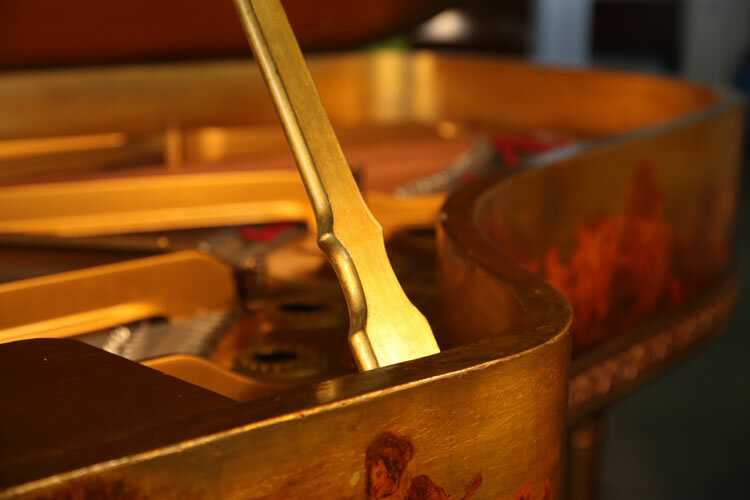 The music desk of this gold Steinway model B is in a scrolling filigree design of wreaths and bows surrounding a central oval plaque. The plaque features a reclining cherub playing a musical instrument. 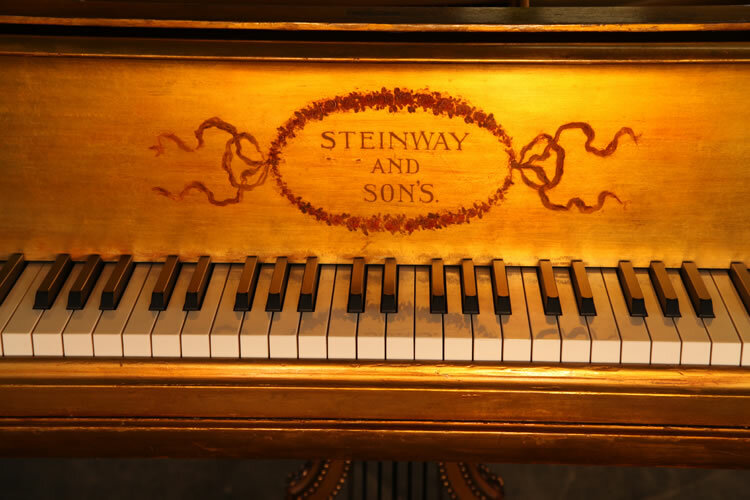 The entire piano cabinet of this Steinway model B is covered with hand-painted decoration. 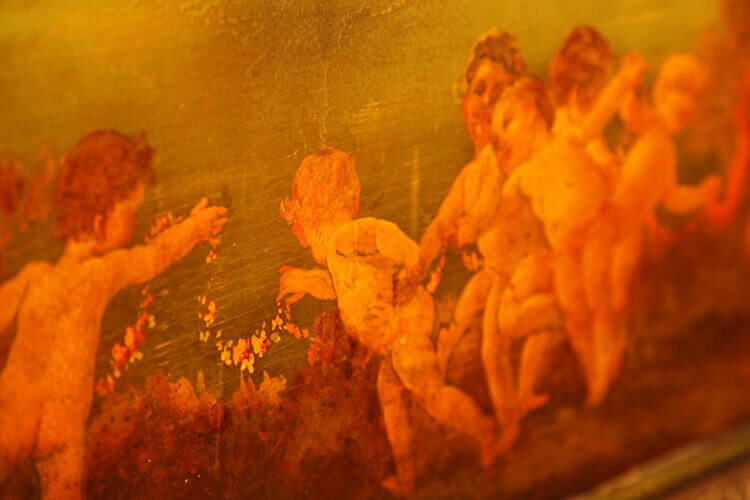 True to the Rococo's jocular style, a group of cherubs frolic and dance with garlands of flowers. 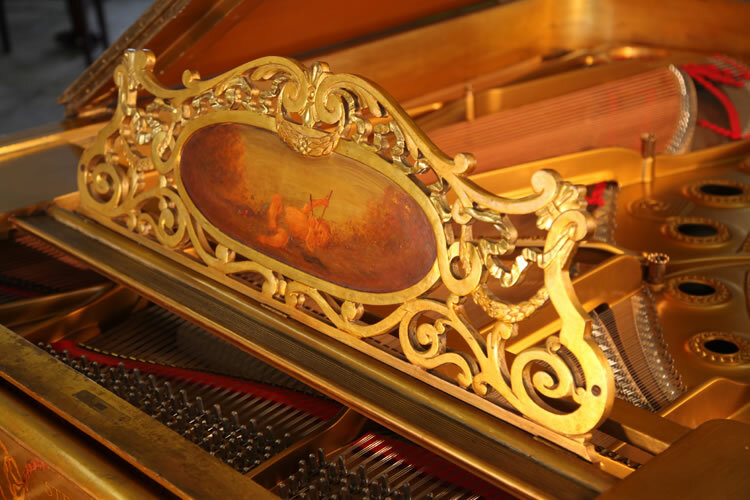 Here Steinway & Sons is hand-painted on the piano fall surrounded by garlands of flowers and bows. 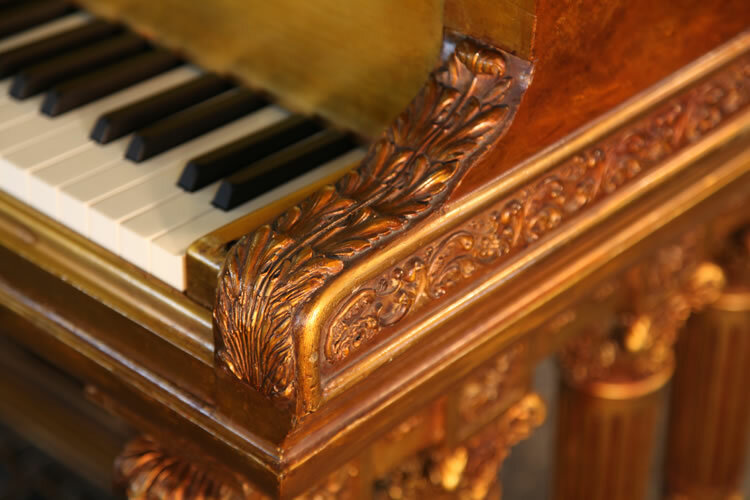 This Steinway Model B has gate legs with four, ornately carved Corinthian pillars. On the pediment is a floral rosette. Detail of the ornately carved Corinthian pillars ornately carved Corinthian pillars. 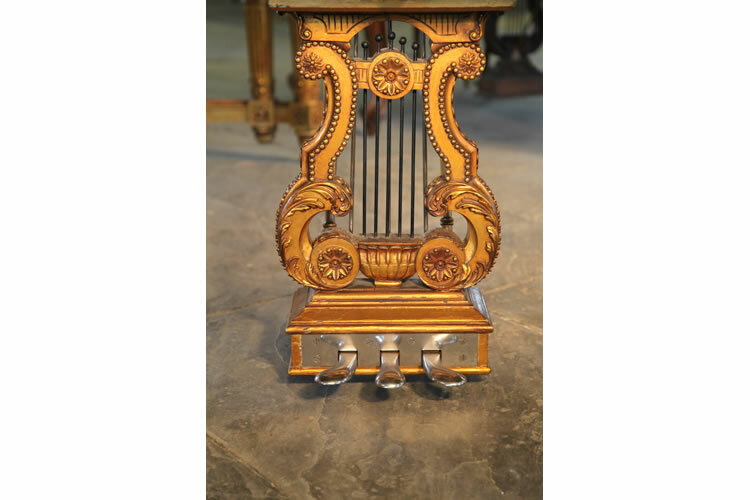 Steinway model B piano lyre is ornately carved with floral rosettes, beading and scrolling acanthus leaves. Piano has three pedals. 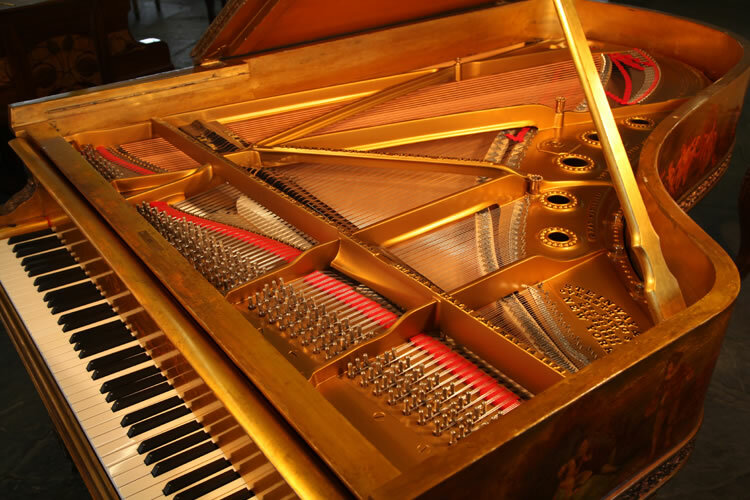 This Steinway model B instrument is restored. Brand new soundboard fitted by Steinway. 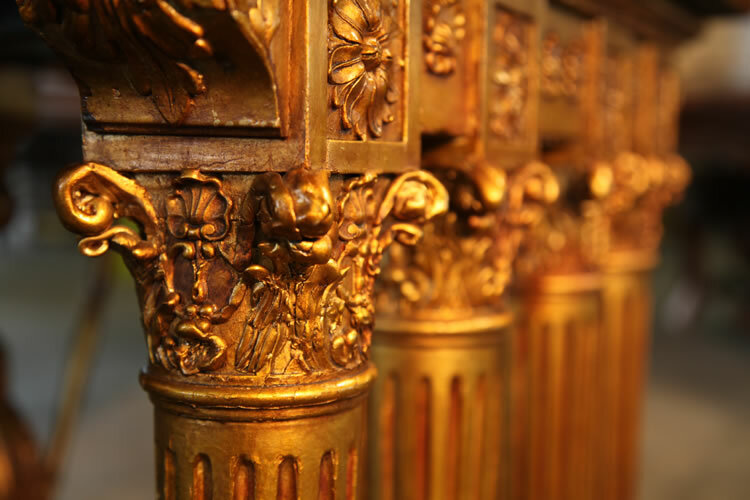 Piano cheek detail with carved acanthus. Here a couple sit together outdoors. The man leaning towards the lady playing a flute perhaps with amourous intent. The lady fans herself watching a man playing a lute. A couple sit together outdoors. The man leans towards the lady playing a flute perhaps with amourous intent. The lady fans herself watching a man playing a lute. Steinway model B prop stick.